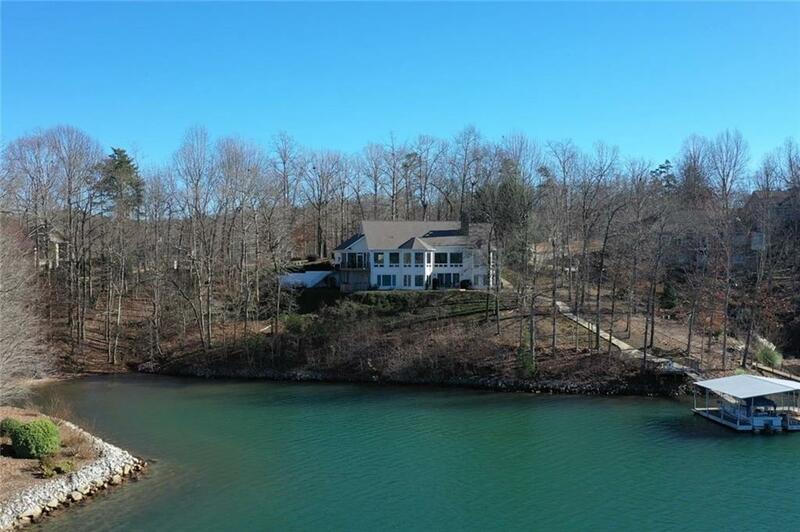 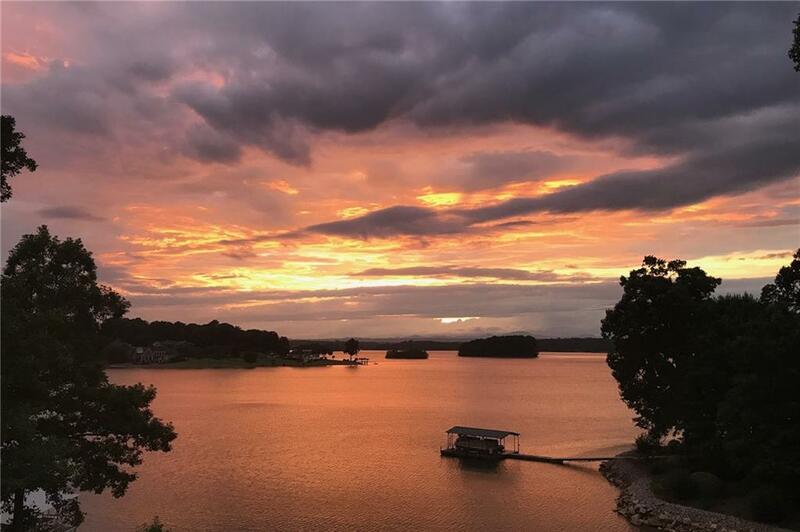 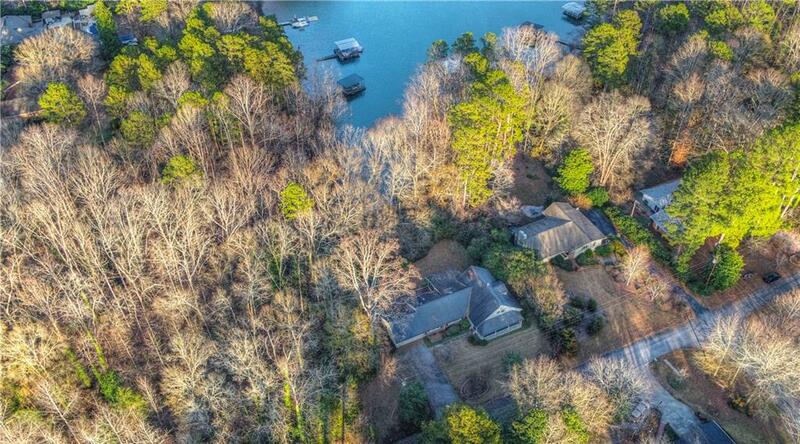 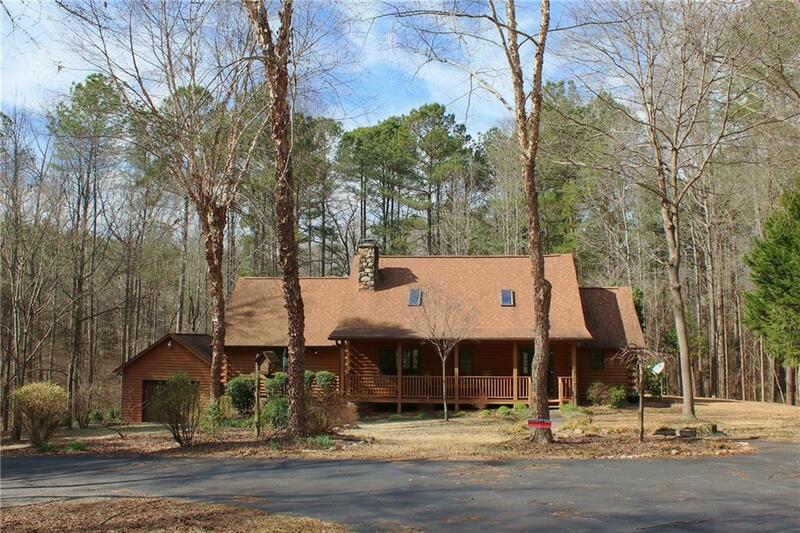 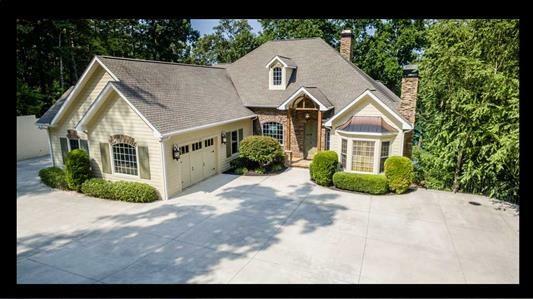 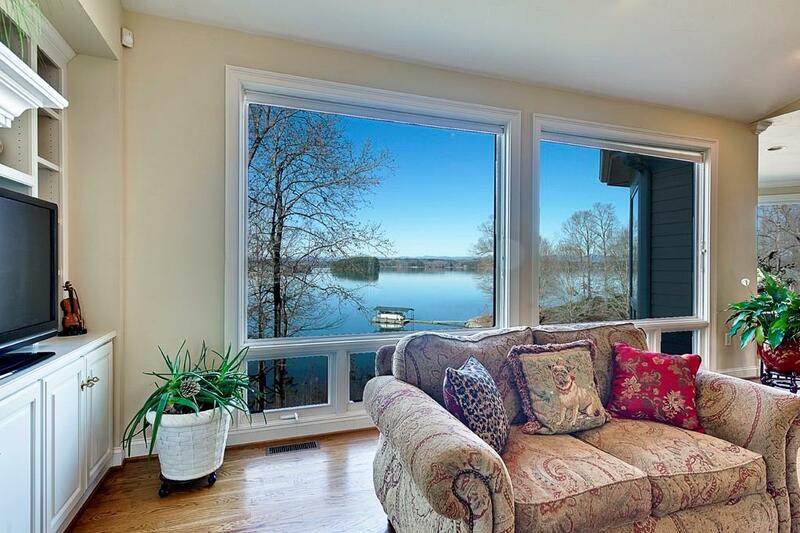 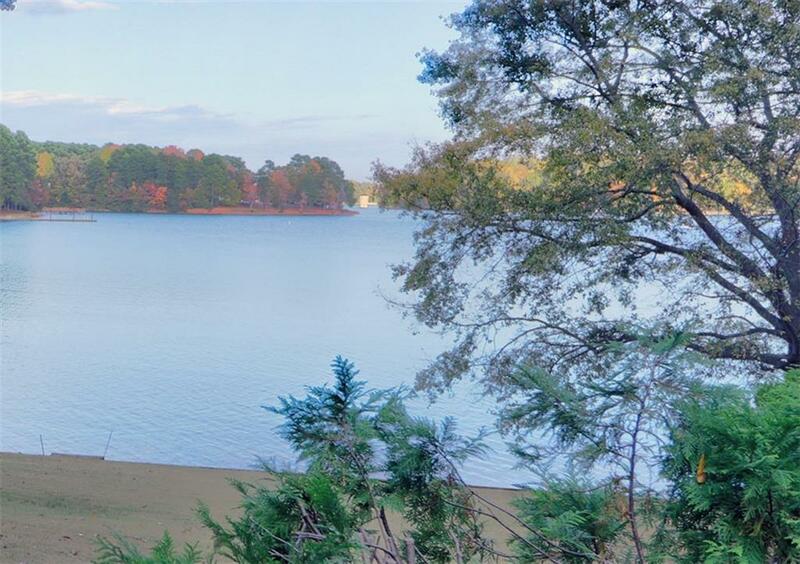 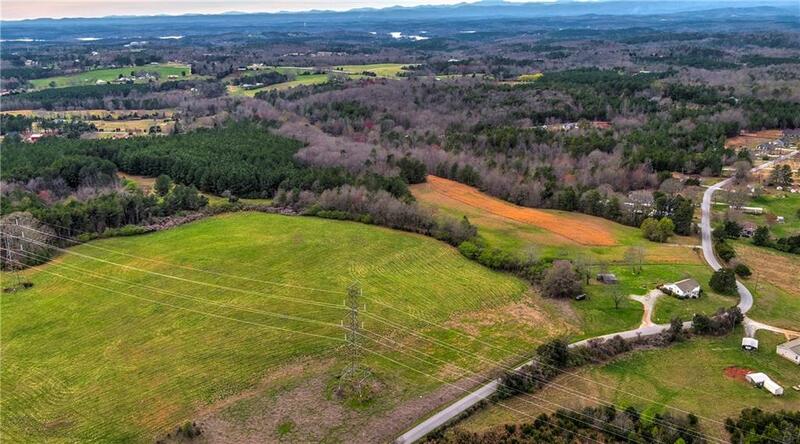 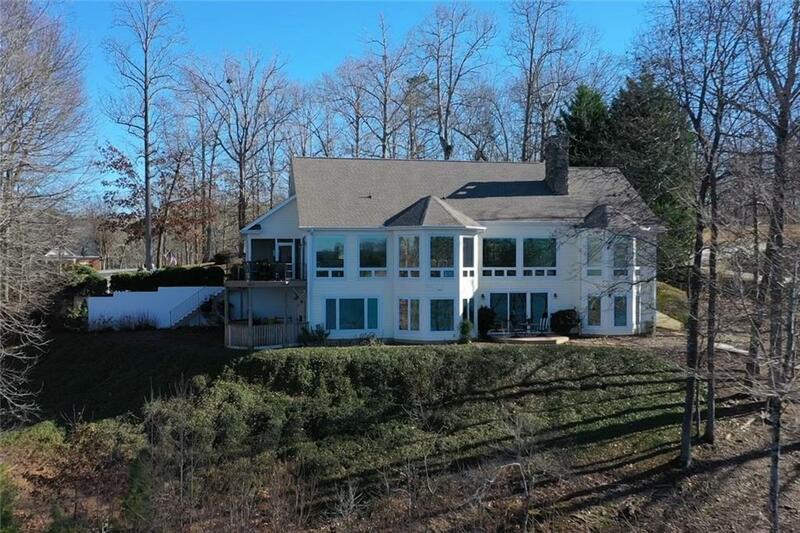 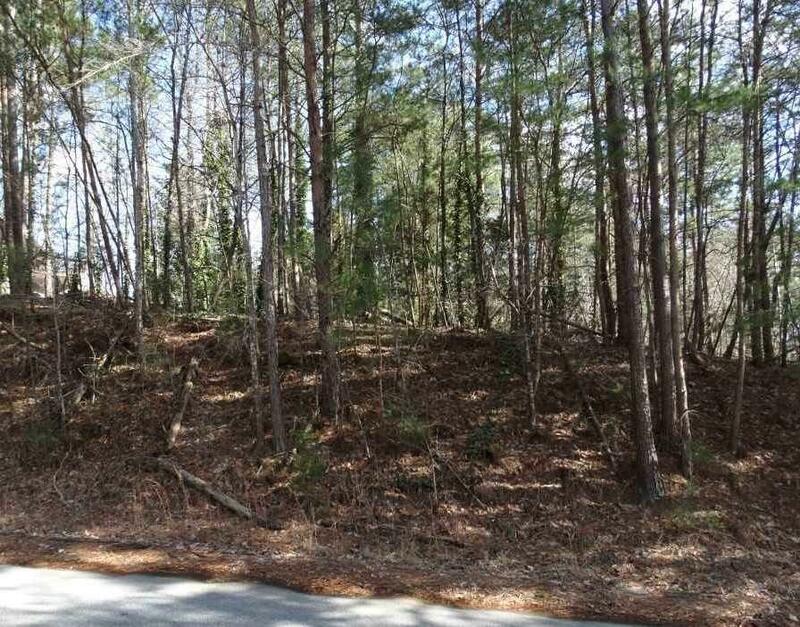 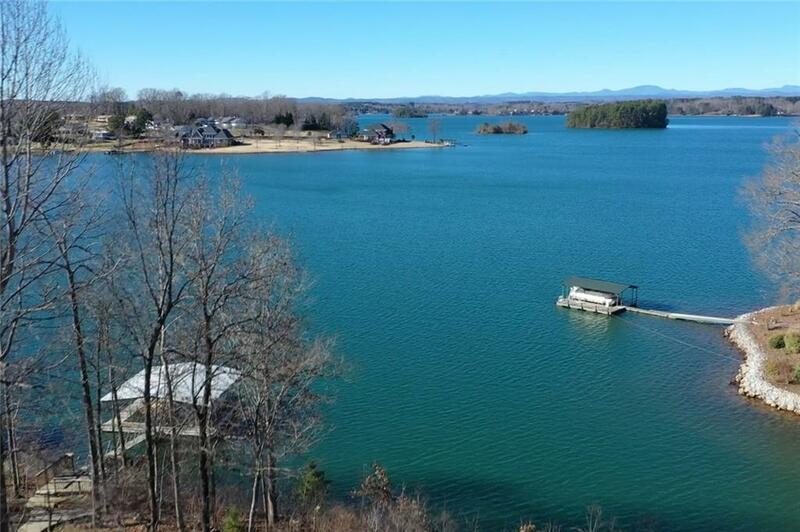 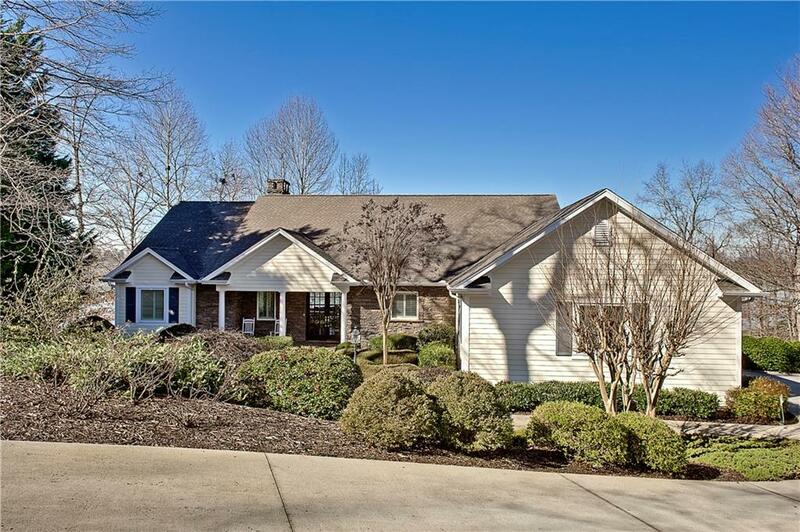 Beautifully situated with panoramic mountain views of Lake Keowee, this spectacular lake home is a dream come true!A circular drive and a gracious front porch welcome guests upon arrival. 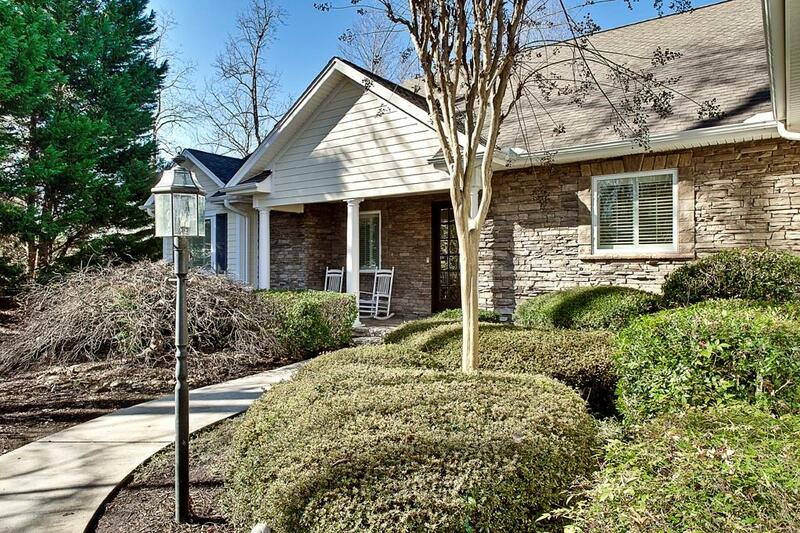 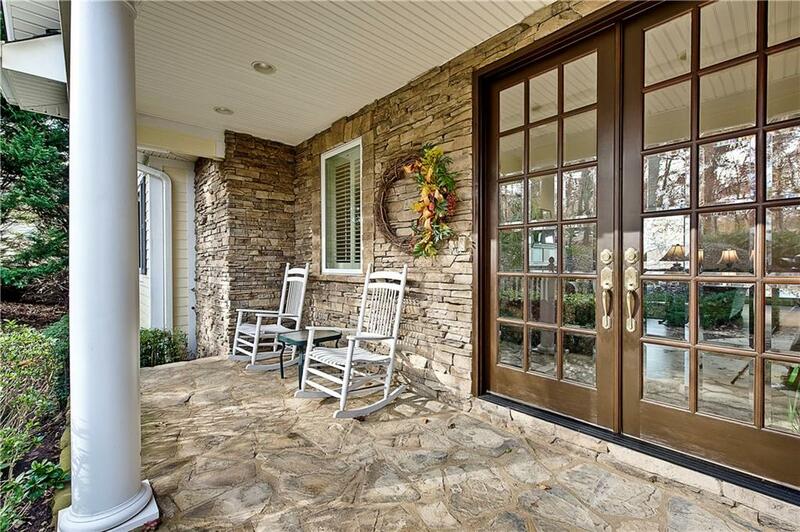 Open the door and you will be immediately greeted by mountain and lake views! 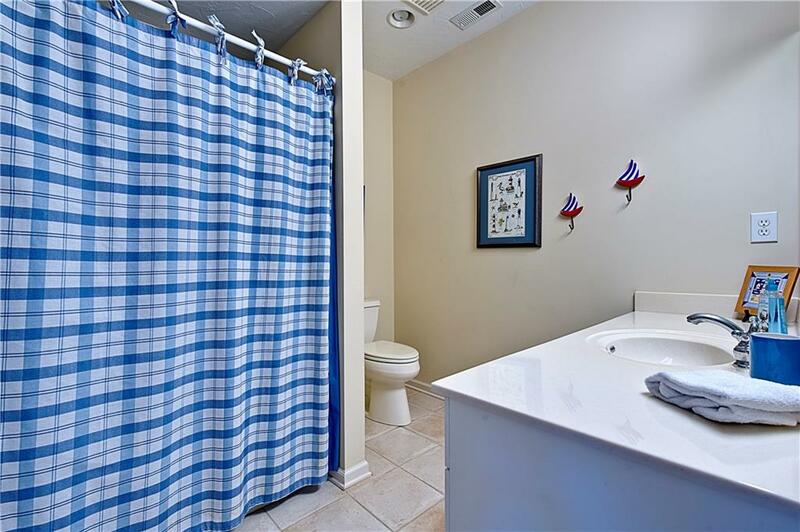 Water is everywhere! 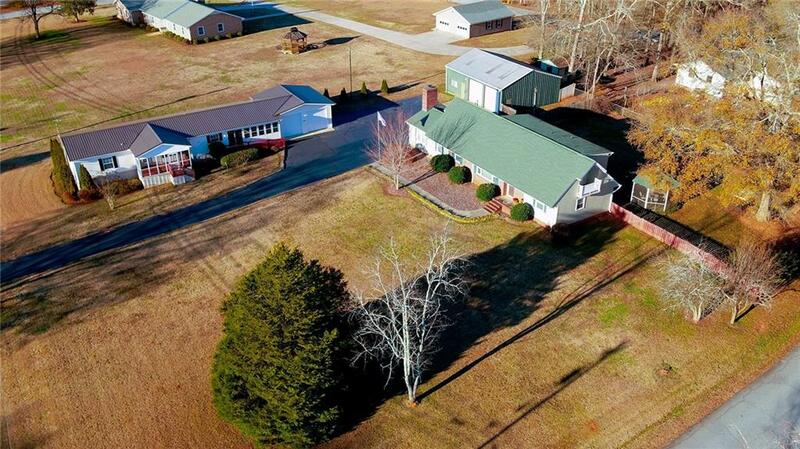 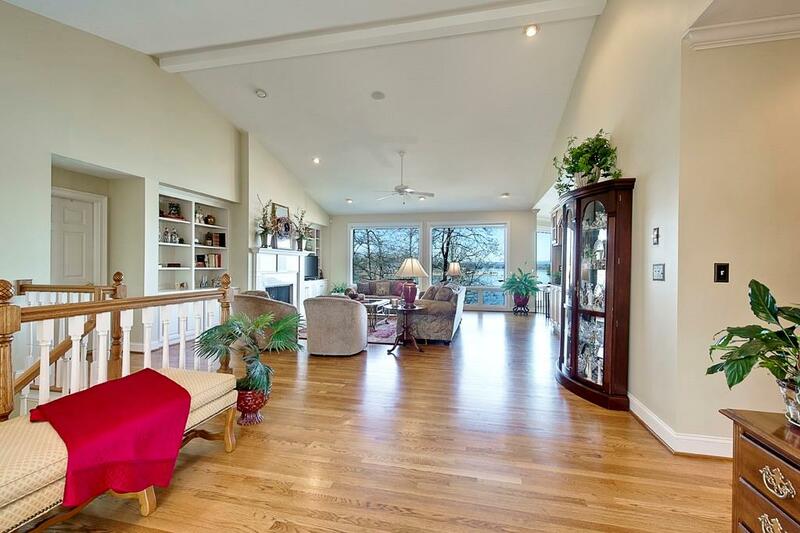 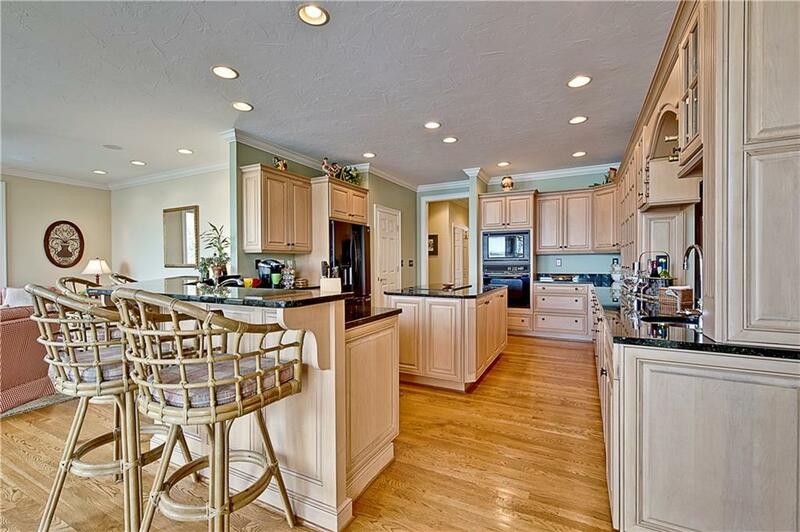 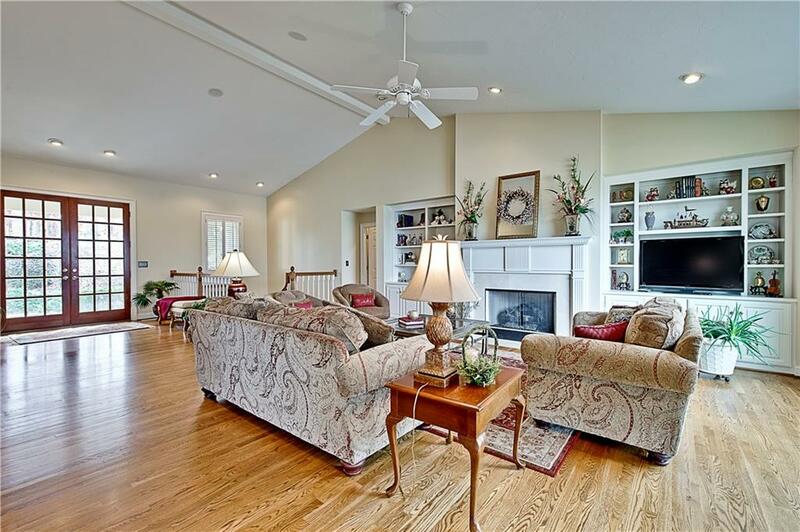 This home offers an exceptionally designed open floor plan. 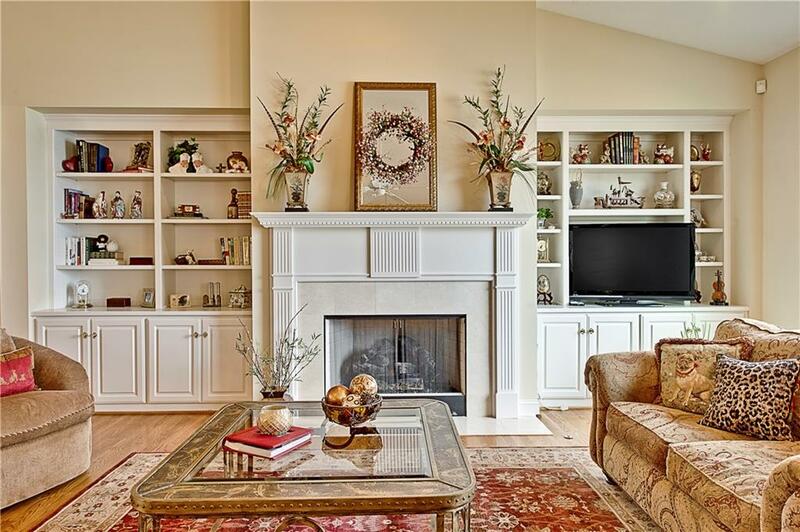 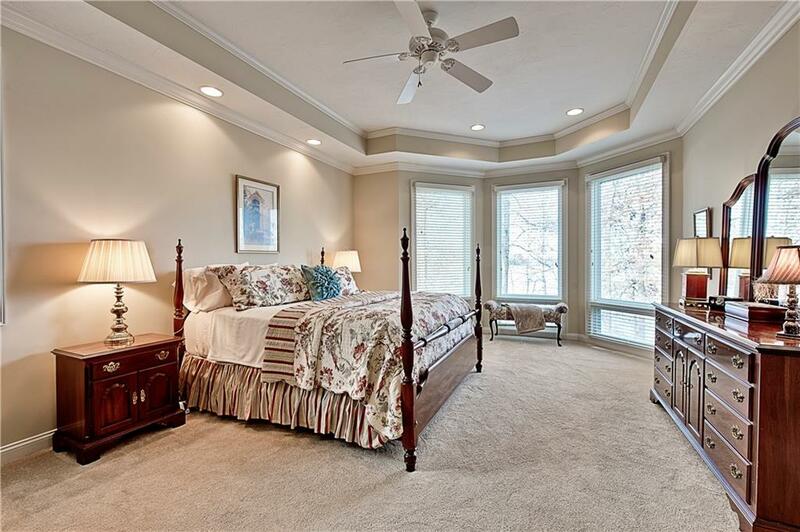 Throughout the home you will see fine finishes including custom crown molding, large picture windows, hardwood floors and multiple fireplaces. 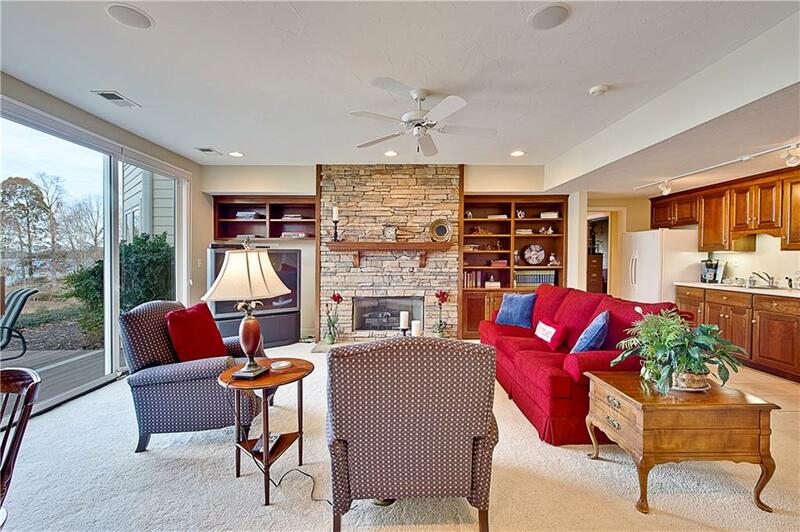 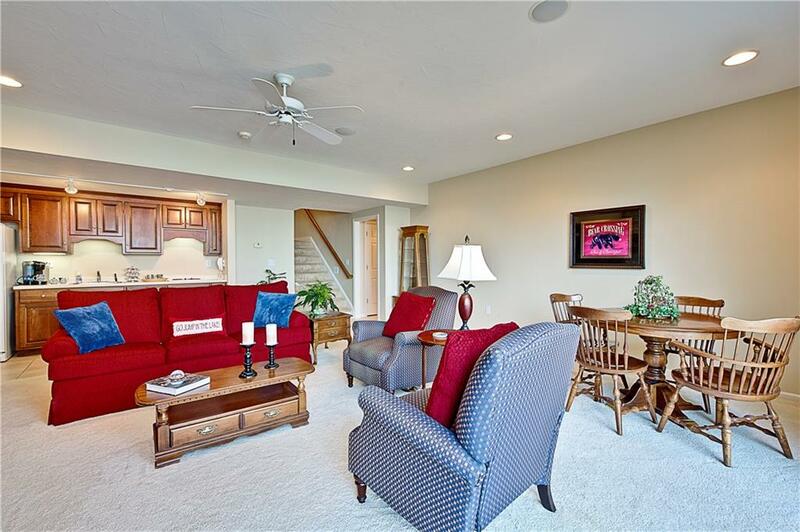 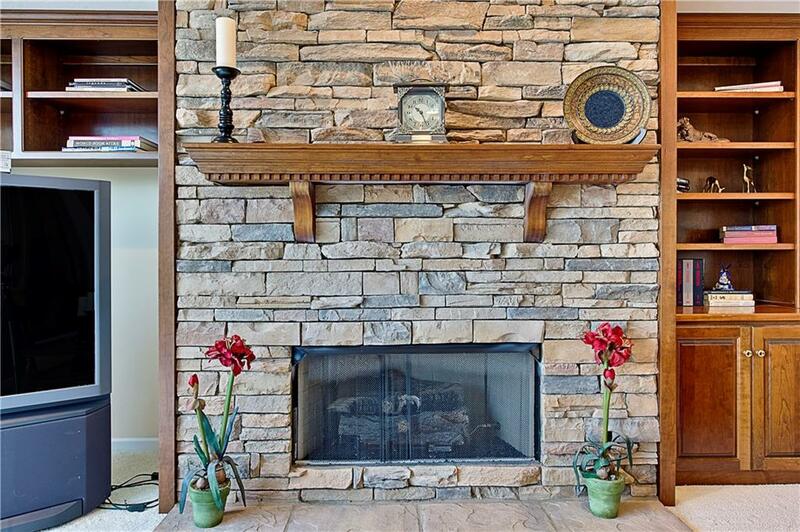 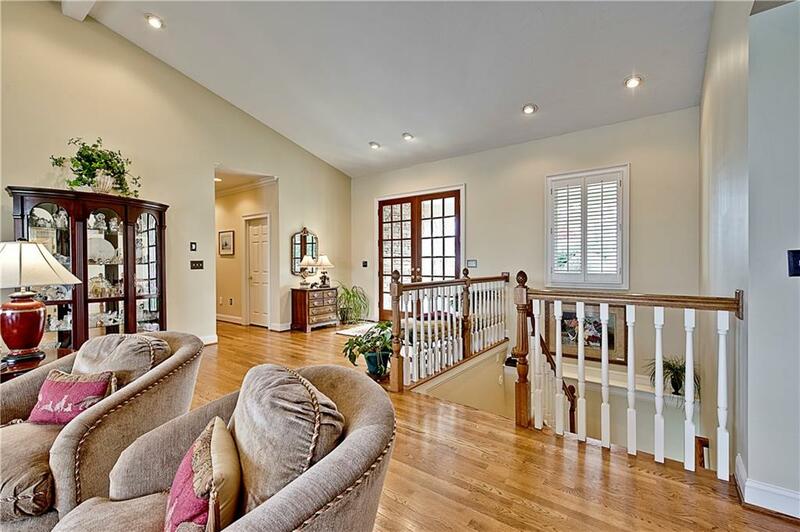 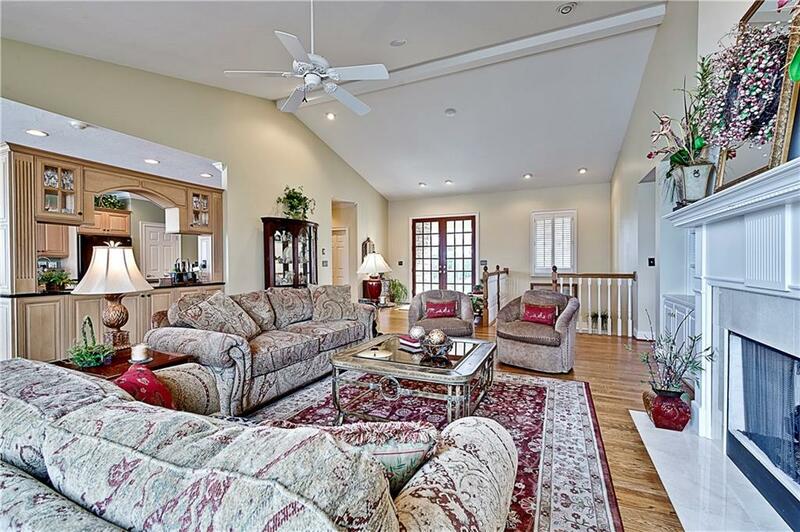 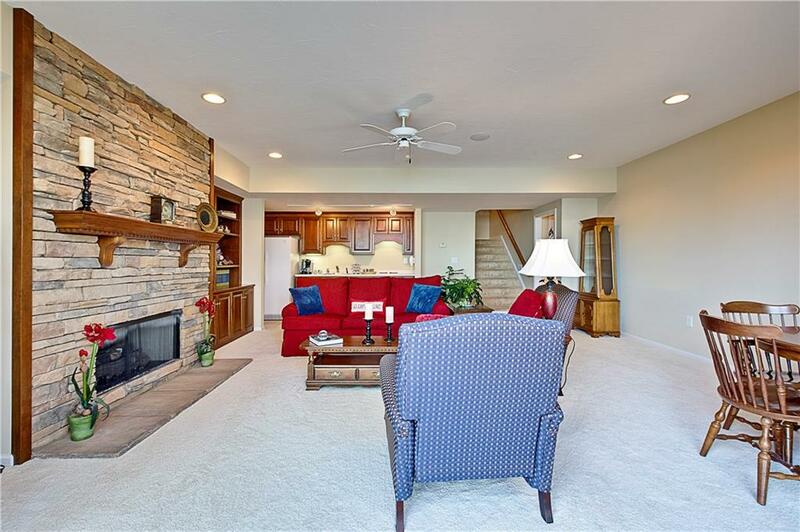 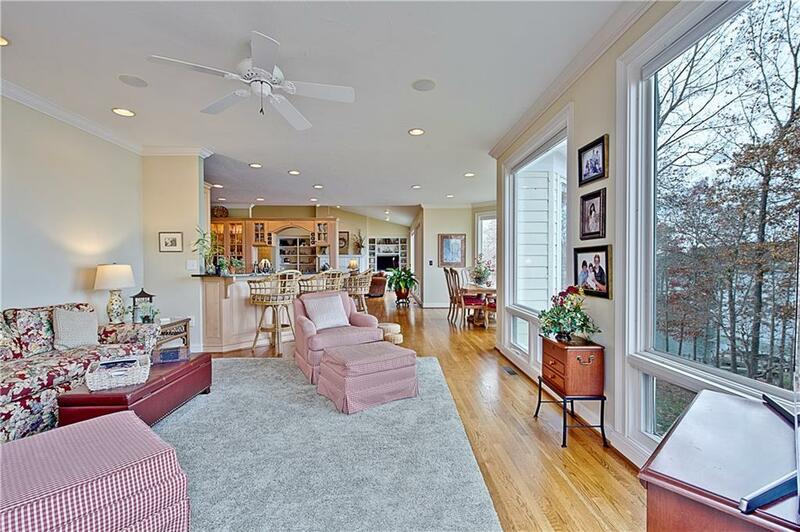 The foyer flows into the vaulted great room appointed with hardwood floors, a fireplace and custom built-in cabinetry. 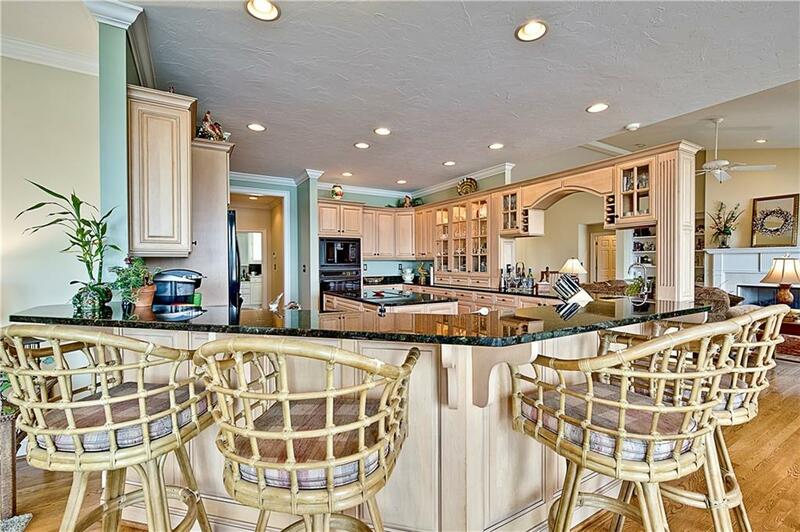 The great room opens into the kitchen and keeping room which is perfect for both large-scale entertaining and fun-filled family gatherings. 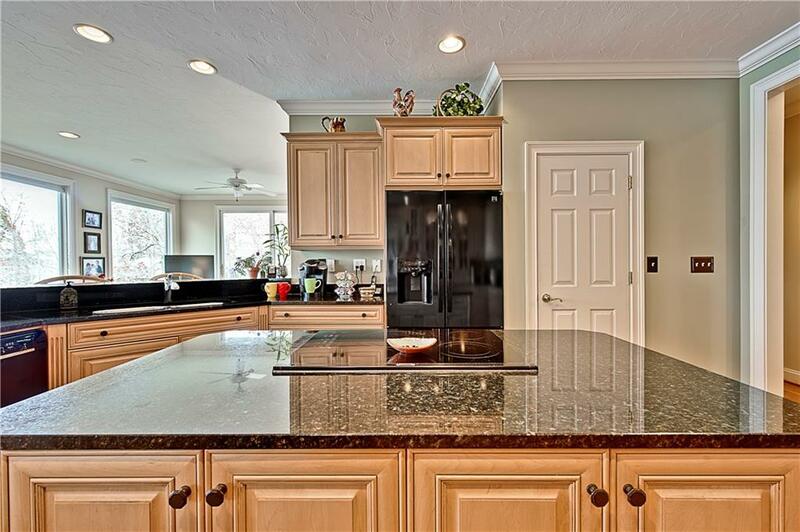 The gourmet kitchen is designed for culinary perfection with rich custom cabinetry, a commanding center island, Granite counter tops, walk-in pantry, lighted cupboards and a gorgeous wet bar. 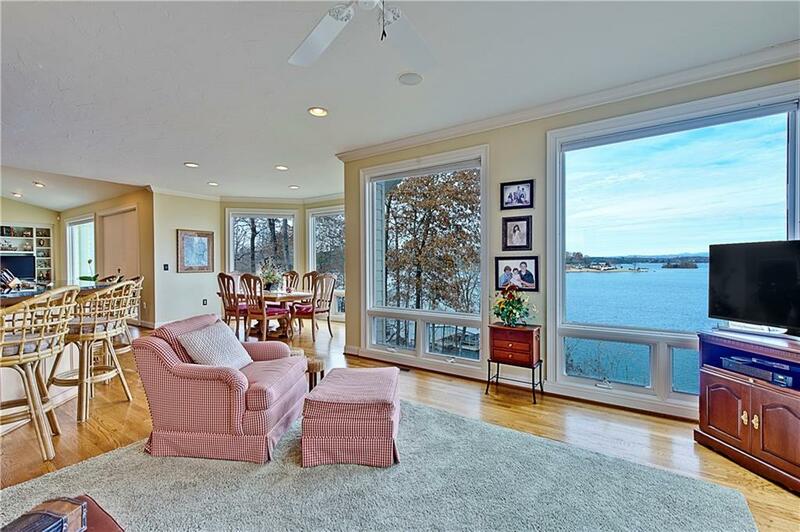 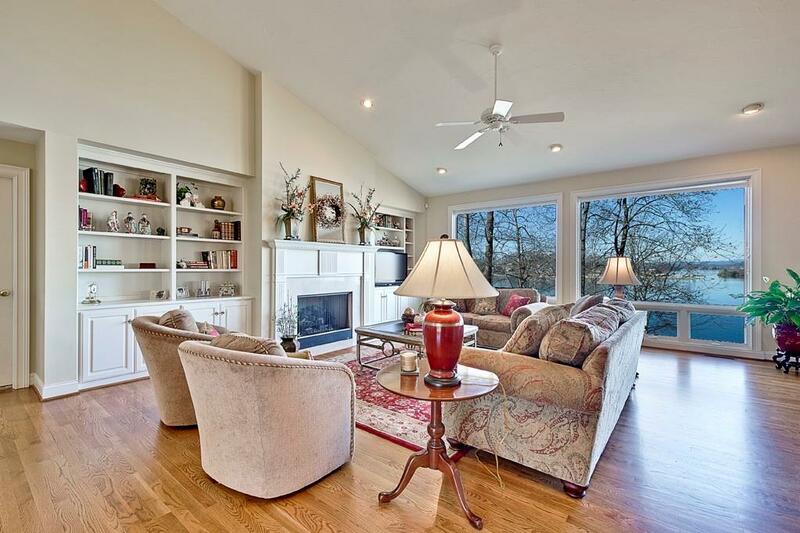 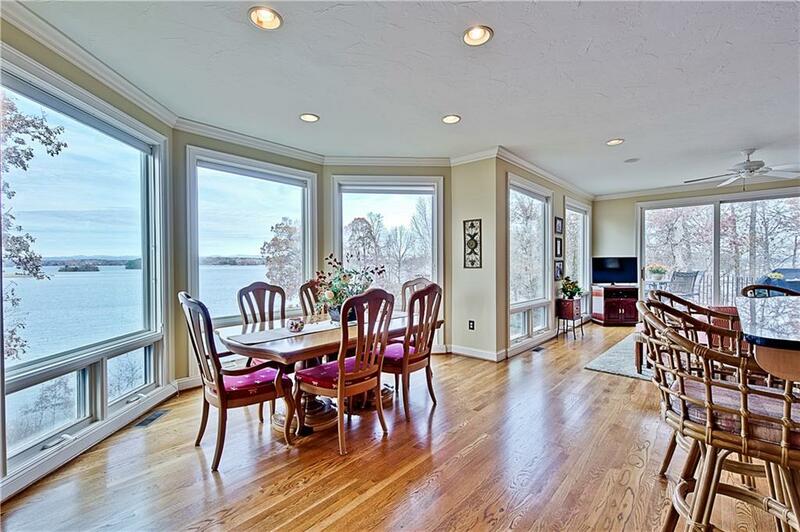 The spacious breakfast/sitting room has lots of natural light and windows to enjoy the captivating views. 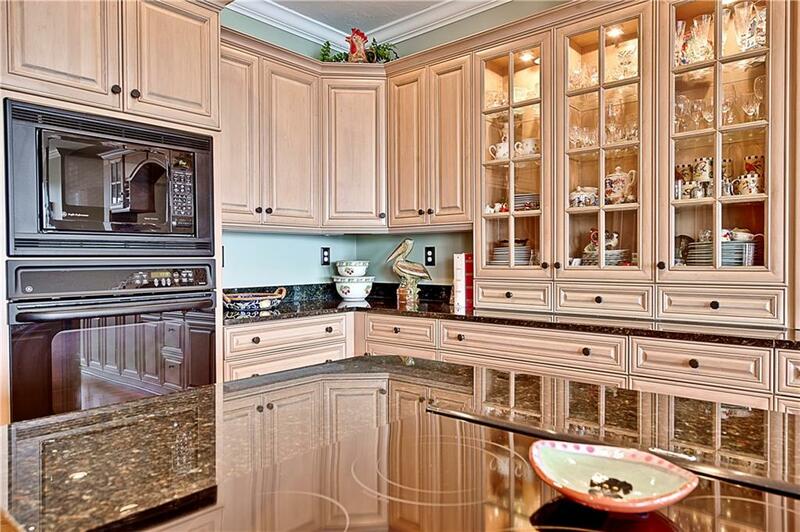 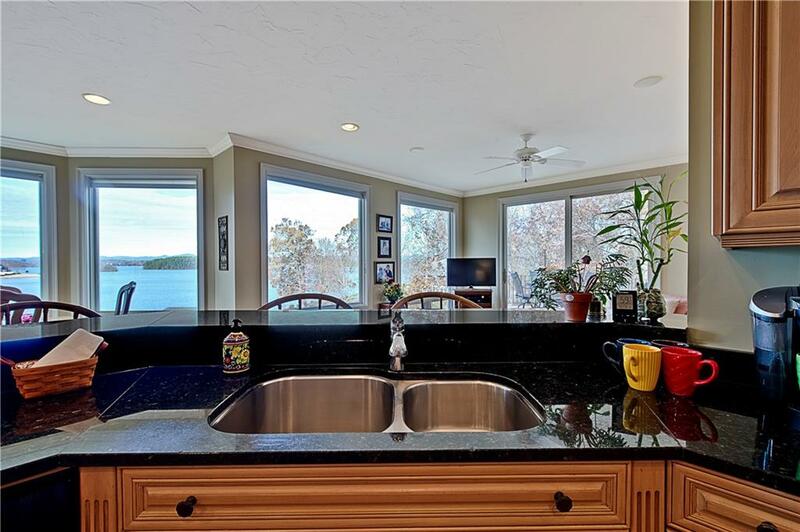 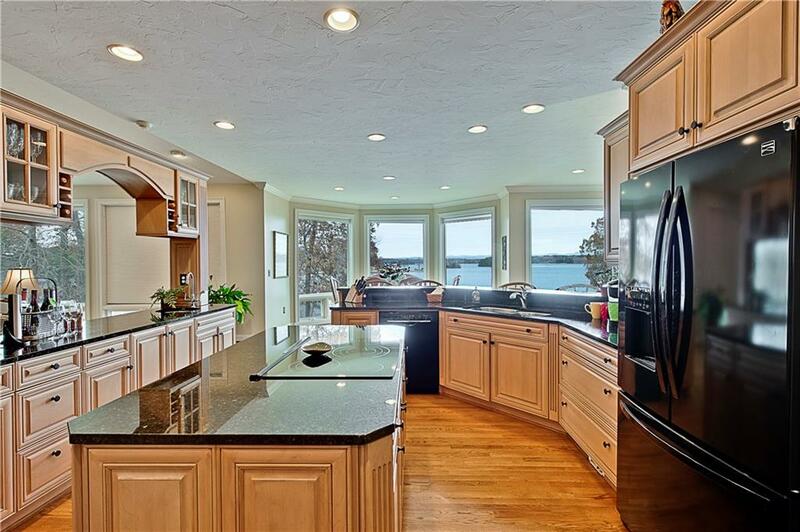 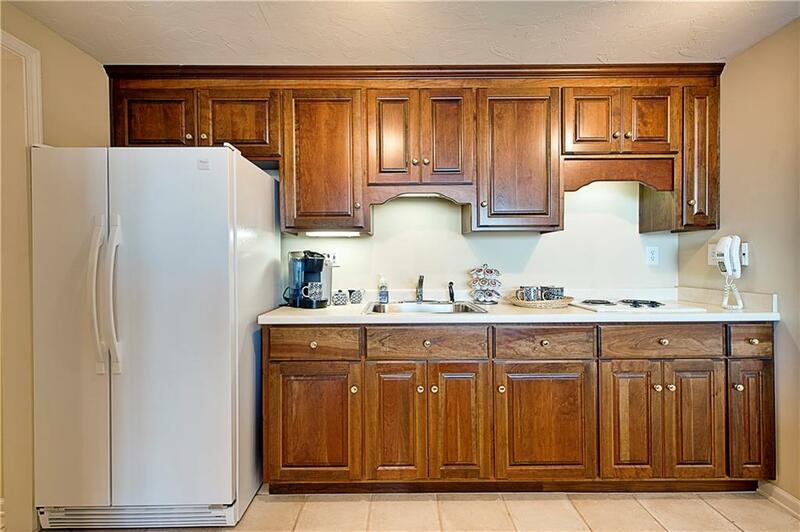 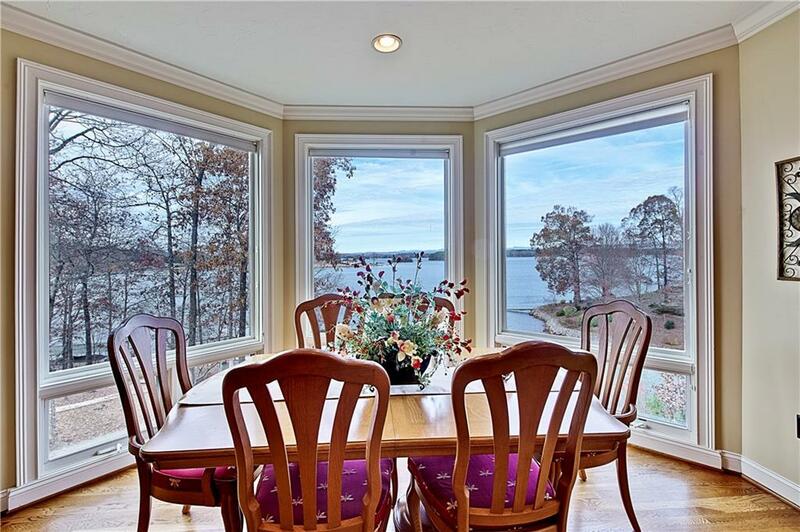 Open to the kitchen, is a bright and light keeping room offering additional stunning views of the emerald waters of Lake Keowee. 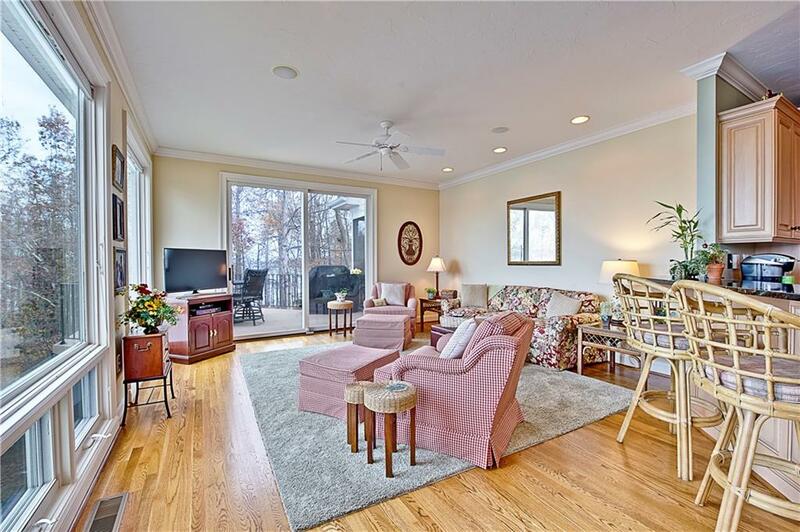 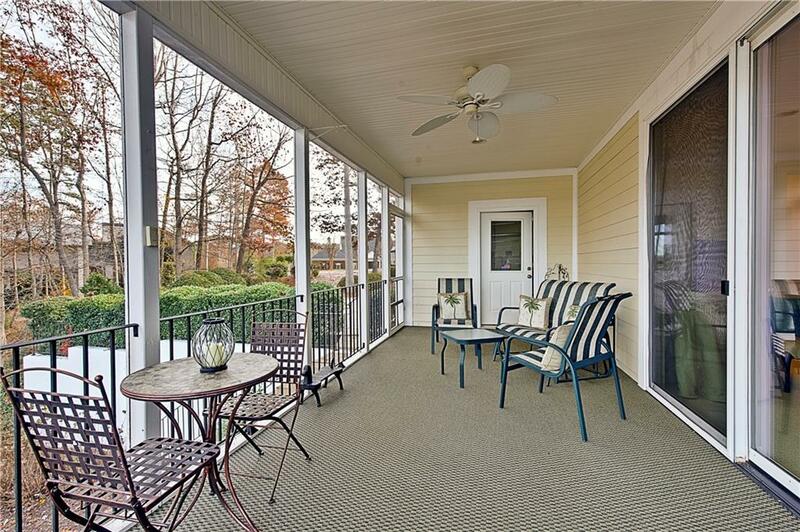 An upper deck for outdoor entertaining is located off of the keeping room which connects to a lovely screened porch. 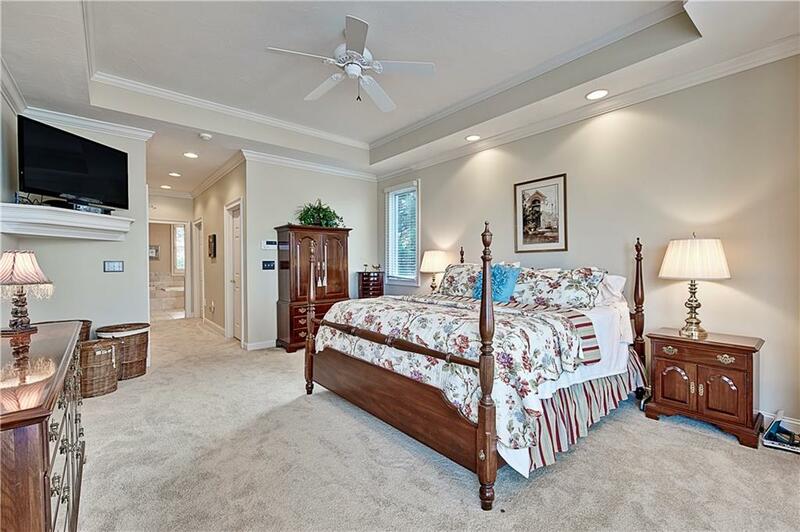 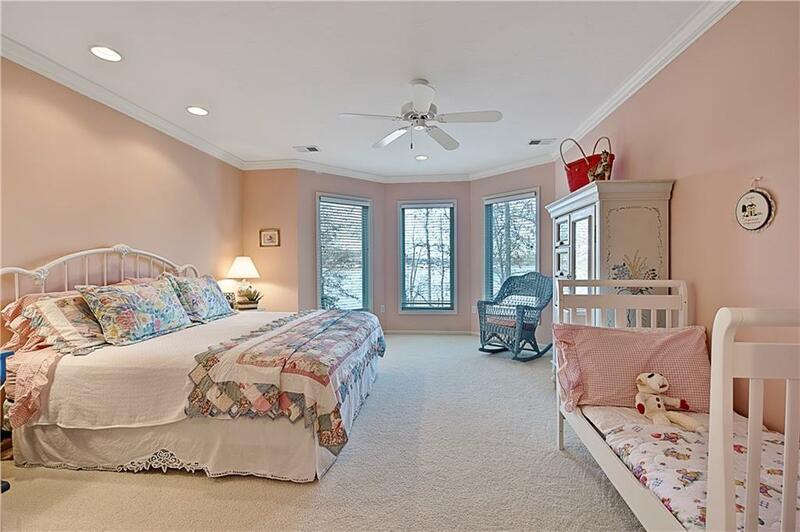 The private master retreat features a tray ceiling, bay window and large walk-in closets. 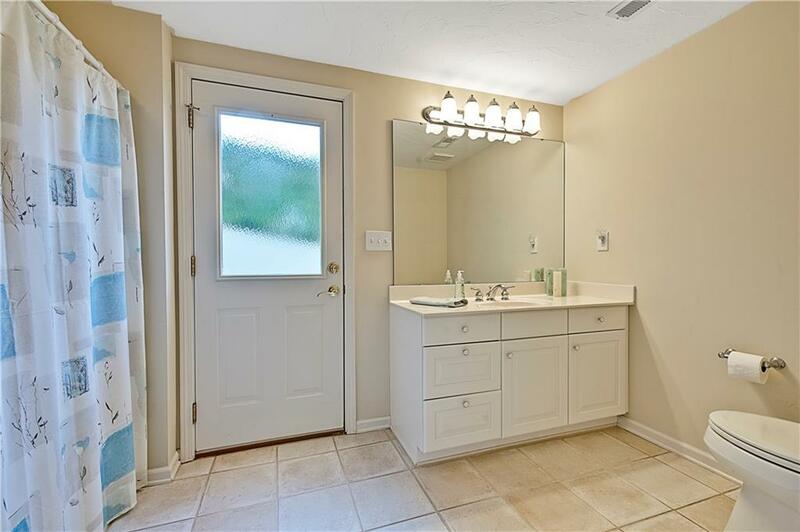 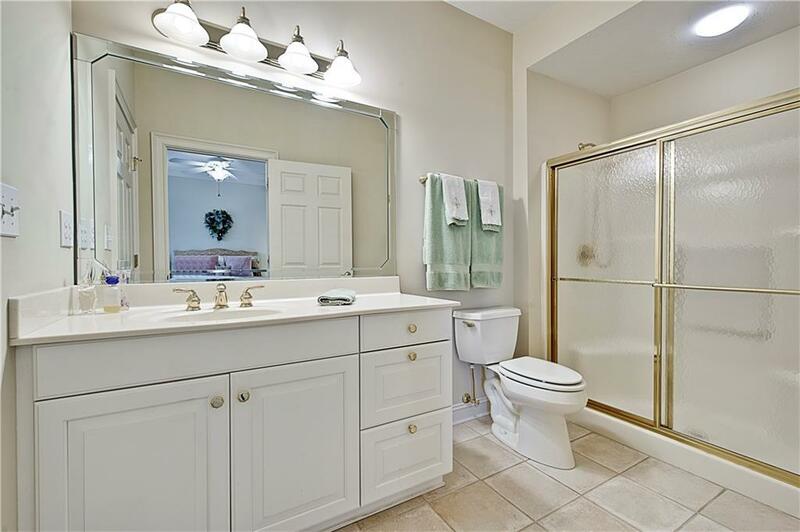 The luxurious master bath has his/her vanities with a Jacuzzi tub and walk-in shower. 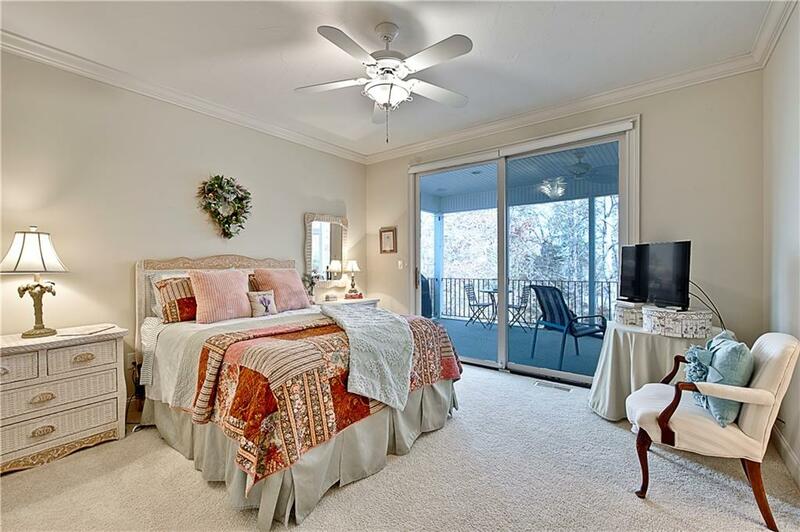 Every room you need is located on the main level including a large laundry room with a built-in desk area, a powder room and a private guest room with a full bath. 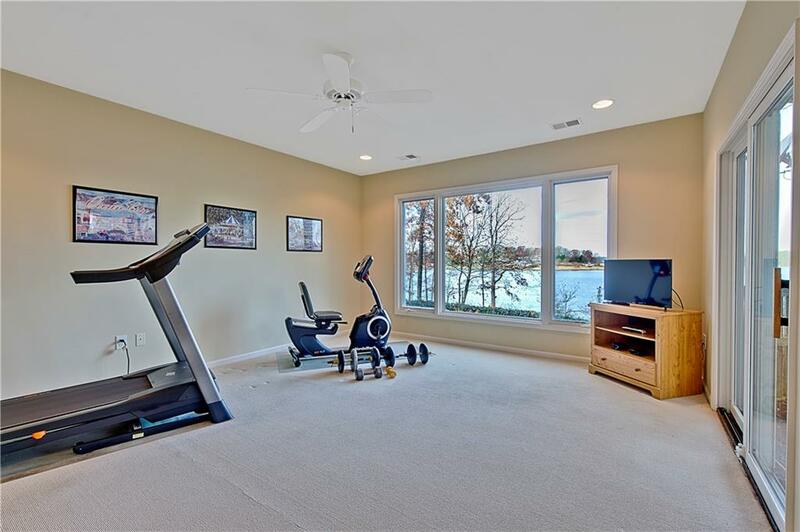 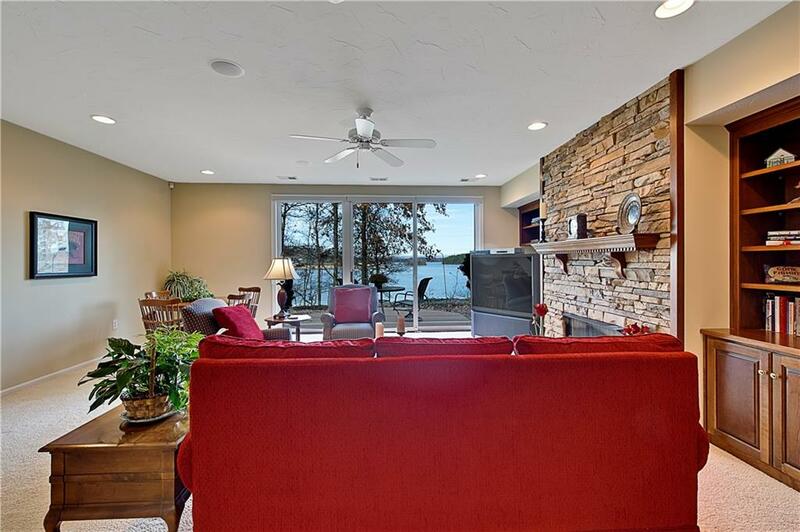 The terrace level of the home features a fireside recreation room with a kitchenette area for ease of entertaining family and lake guests. 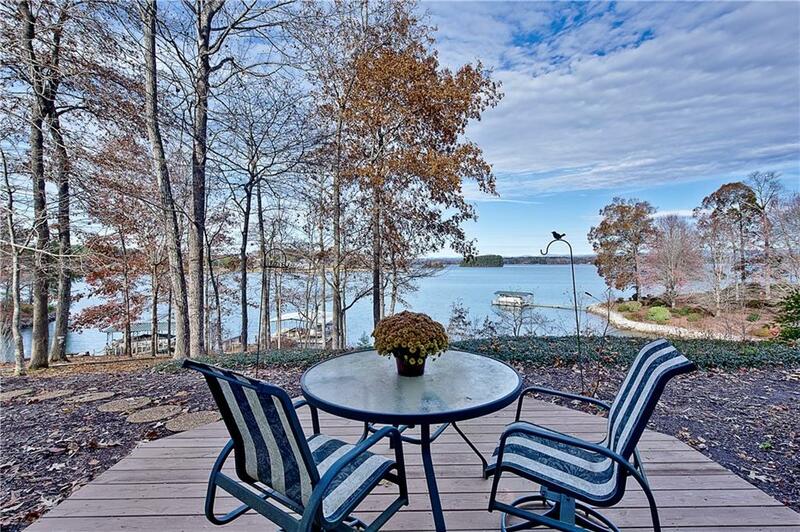 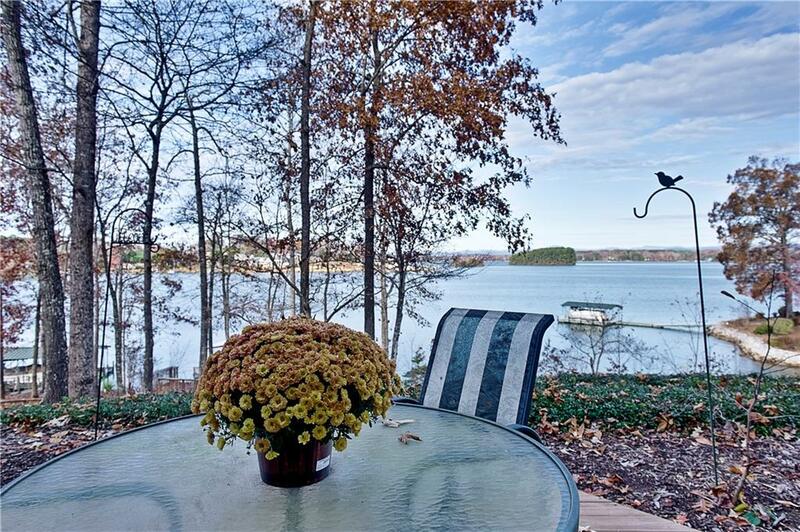 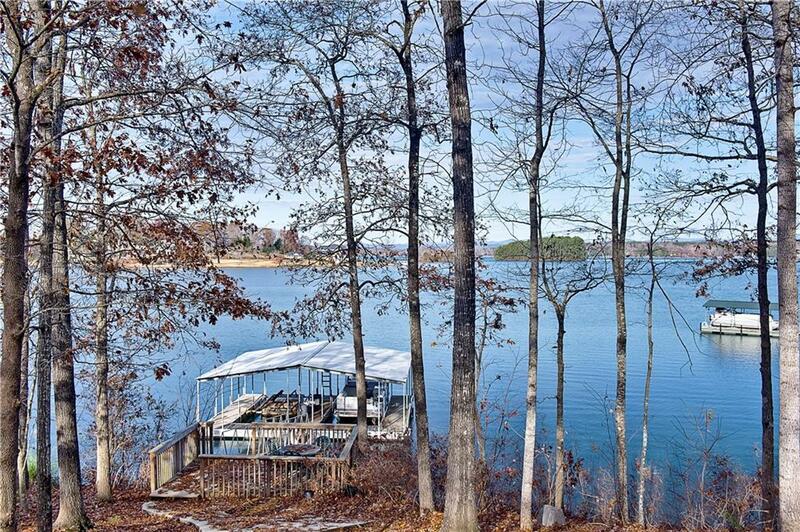 Leading from the recreation room to the outdoors, there is a deck that is perfect for watching the sun set over Lake Keowee. 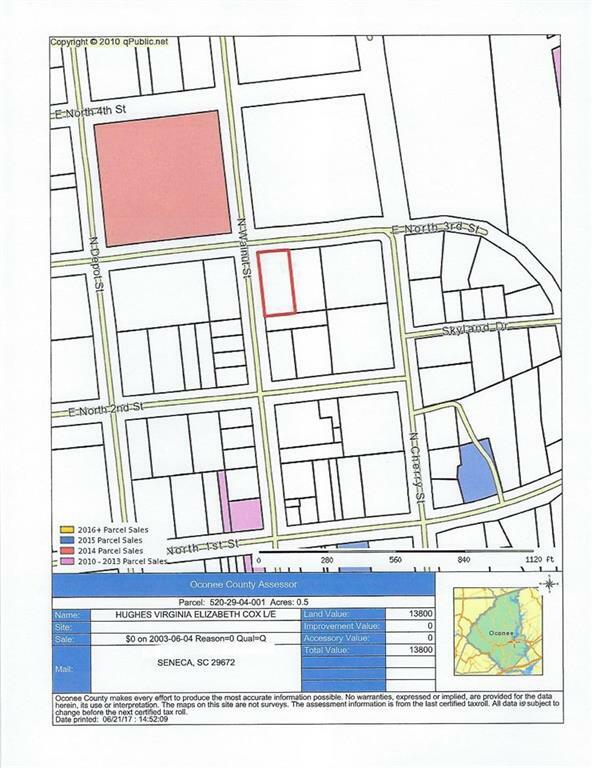 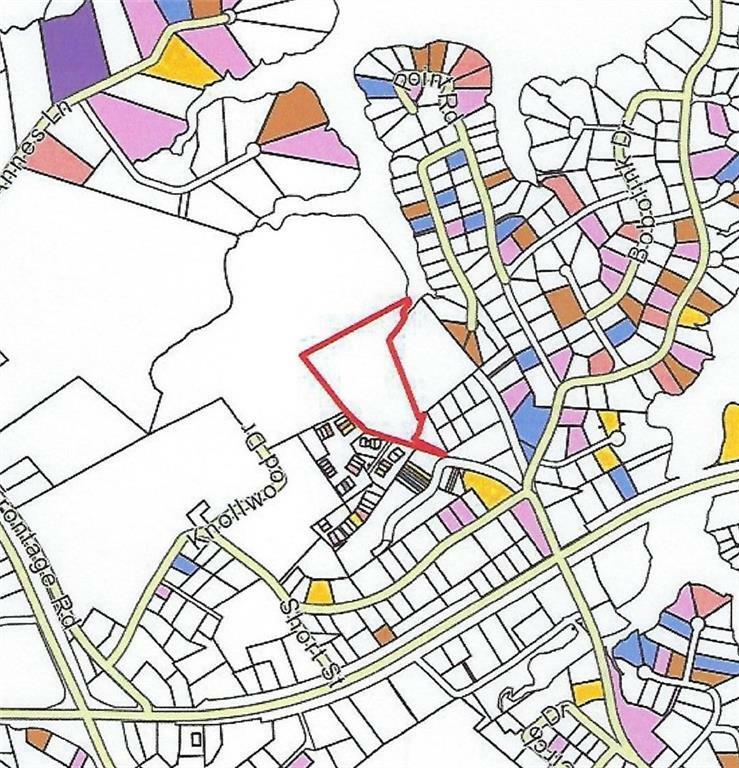 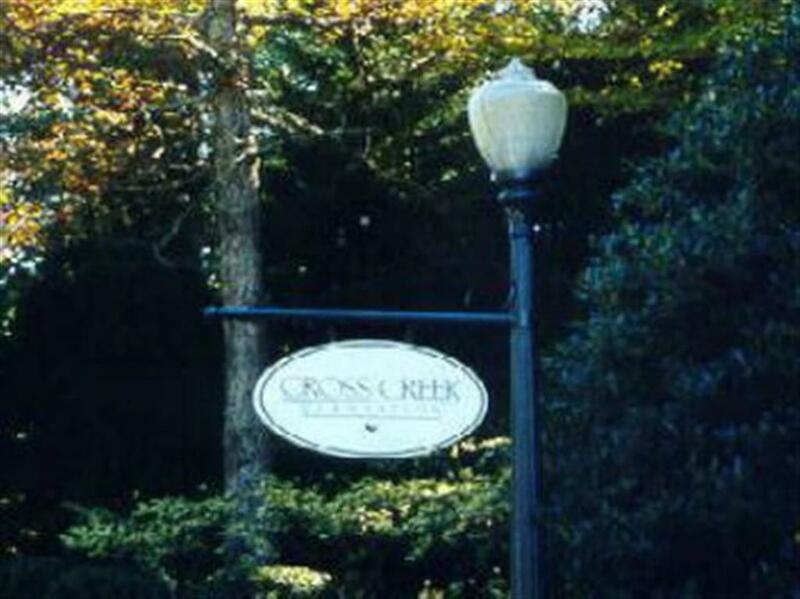 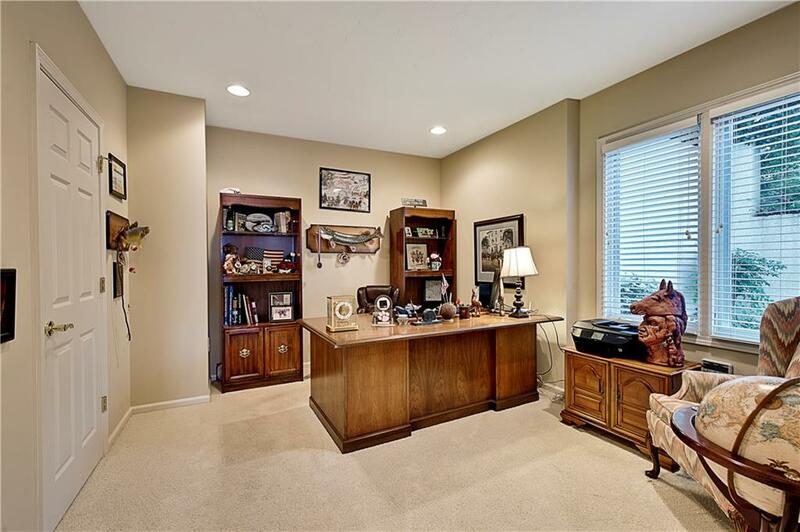 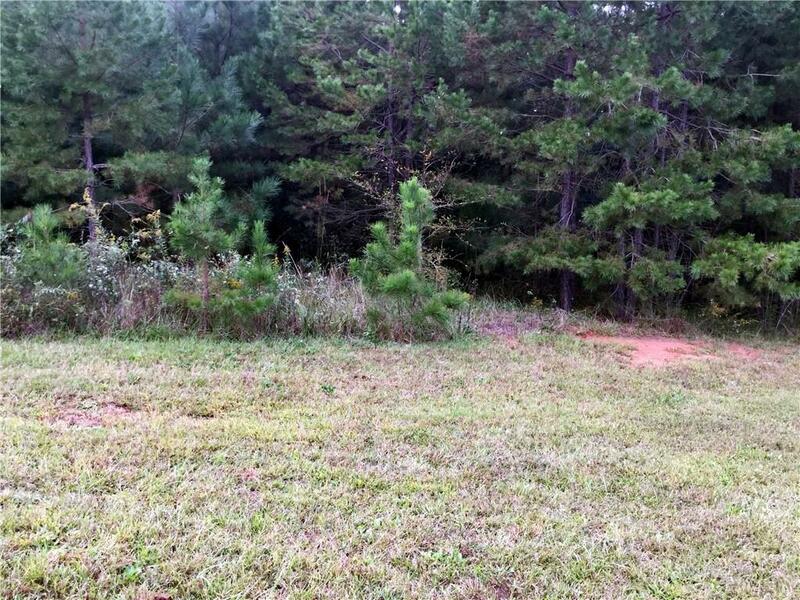 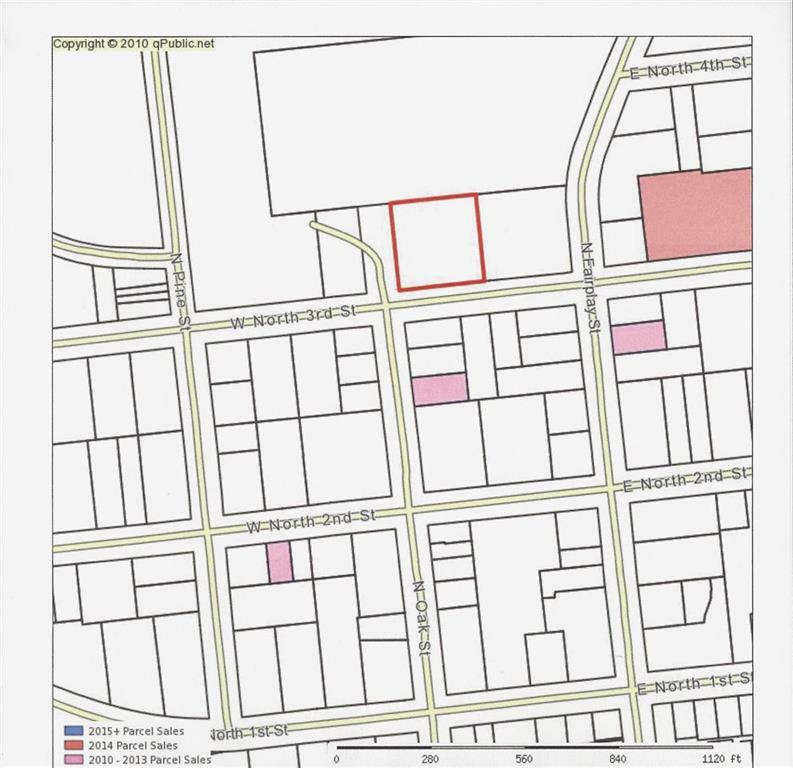 Additionally, there are 2 bedrooms, 2 full baths, an office, exercise room and a spacious storage area. 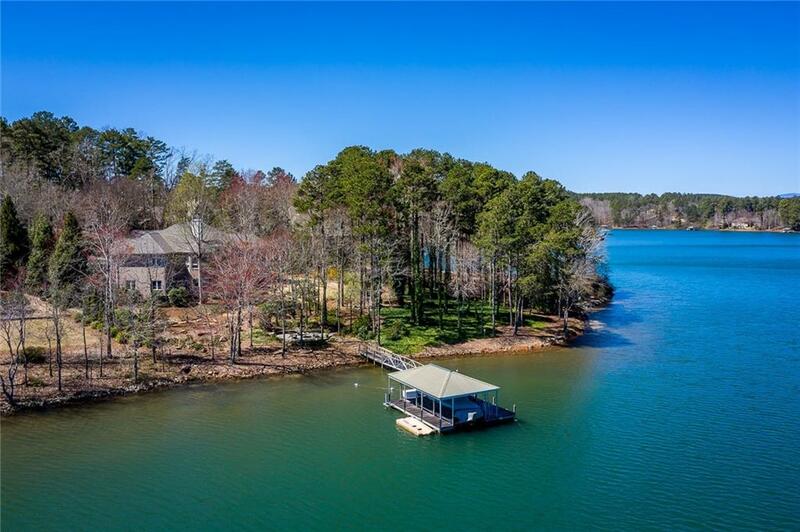 All the bedrooms have amazing views of the lake.Completing this exceptional property is a rare two slip dock with a deck at the lake. 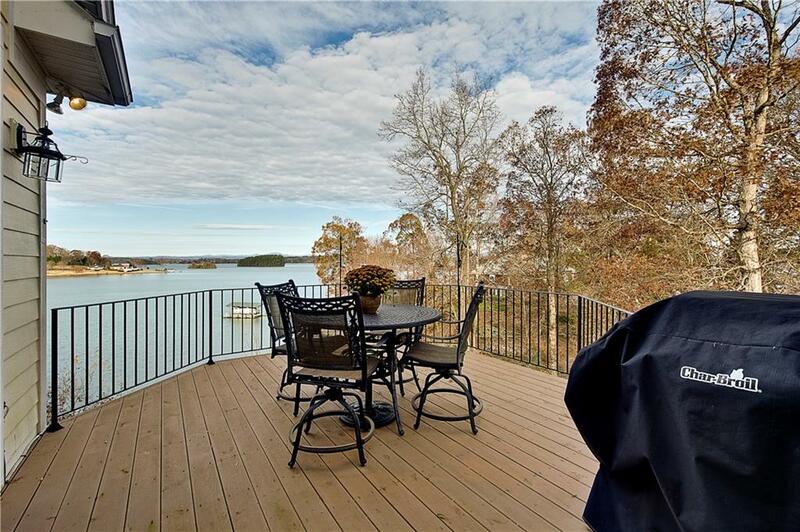 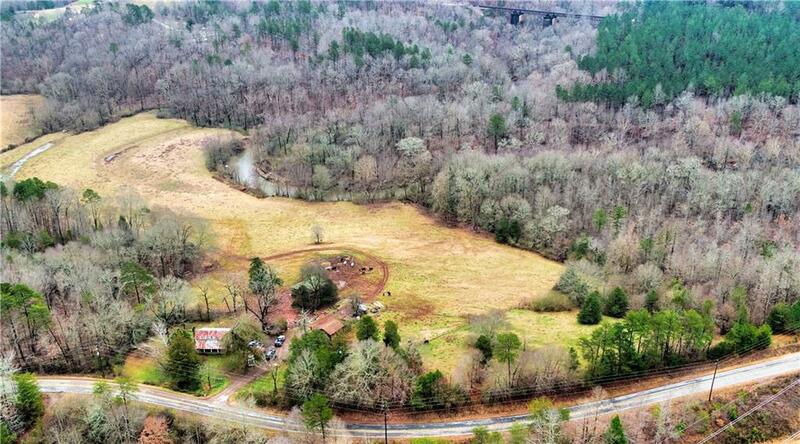 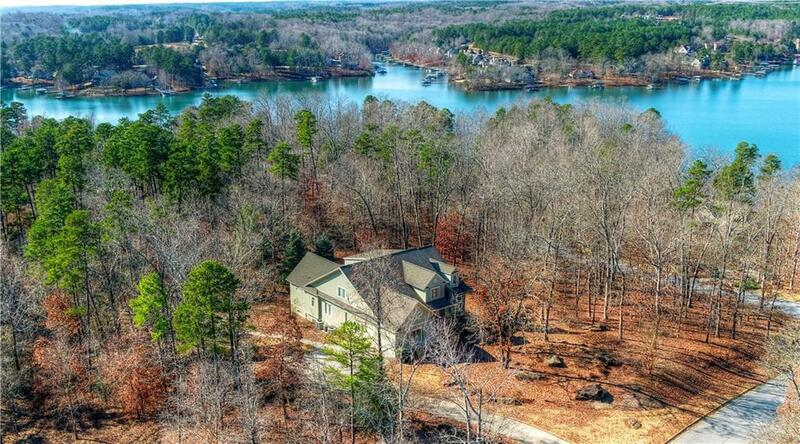 This home is an entertainer's dream, truly one of a kind with views that will take your breath away. 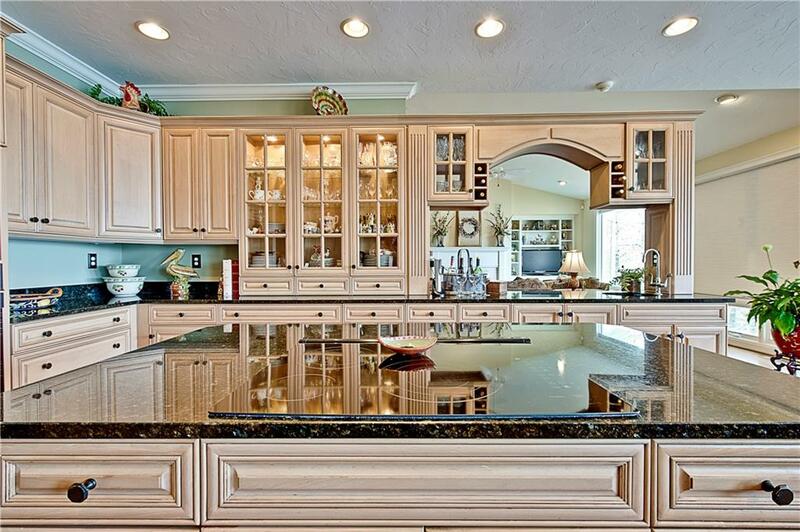 Come home to paradise!